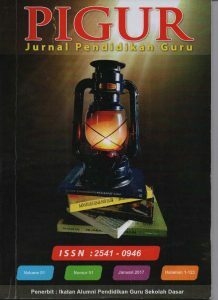 Study About story telling as a medium to grow character and the value of the nation culture on primary school student. In writing this article used method of descriptive through the study of literature. Character and cultural values is the most important thing to be growing teachers in personal students. Many ways that can be carried by teachers in learning that intended message for well , one of them by means of story telling. Story telling was the creative a teacher to send a toward students , because primary school students could not understand advice pure given .They need learning that are not patronizing, and created a cheerful and agreeable. Story telling be successful when students can focus attention to the stories and well acquainted with been figures, then students considering the contents of the story and store in their memory brain that someday can get back when needed .Then students translate their memory story in brain in the form of behavior show the character and value of the positive nation culture.